We supply a full range of coir products for use for erosion control bank stabilisation, planting schemes and habitat enhancement. Our coir is sourced from specialist manufacturers in Sri Lanka and India. 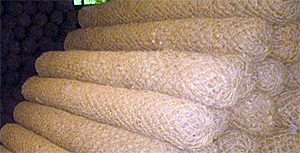 All our coir products, unless engineered differently, are fully biodegradable. 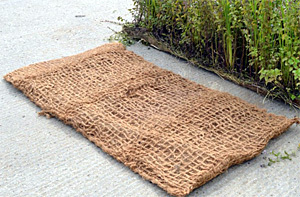 We can also supply pre-planted coir roll and pallets as a standard mix or grown to order. These are typically used for reed bed installations or large-scale planting schemes, often pre-planted rather than dry. We can supply these in 2m x 1m with a dry weight of 5kg per m².